We have grown flowers from the start. 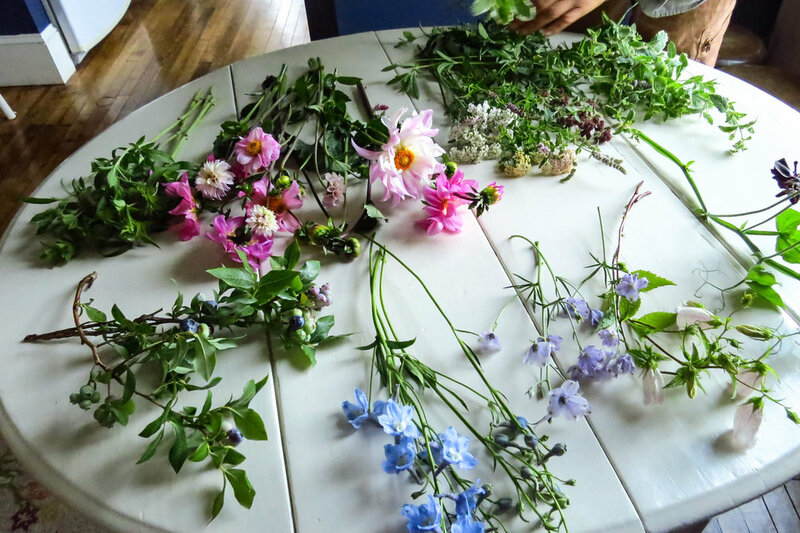 From well before Chase’s Daily opened, and even before the days of the Belfast Farmer’s Market, flowers jostled for space with the food crops in our gardens. Today, we grow several acres of blooms, careful successions for a steady supply, which we market with our produce at Chase's Daily. 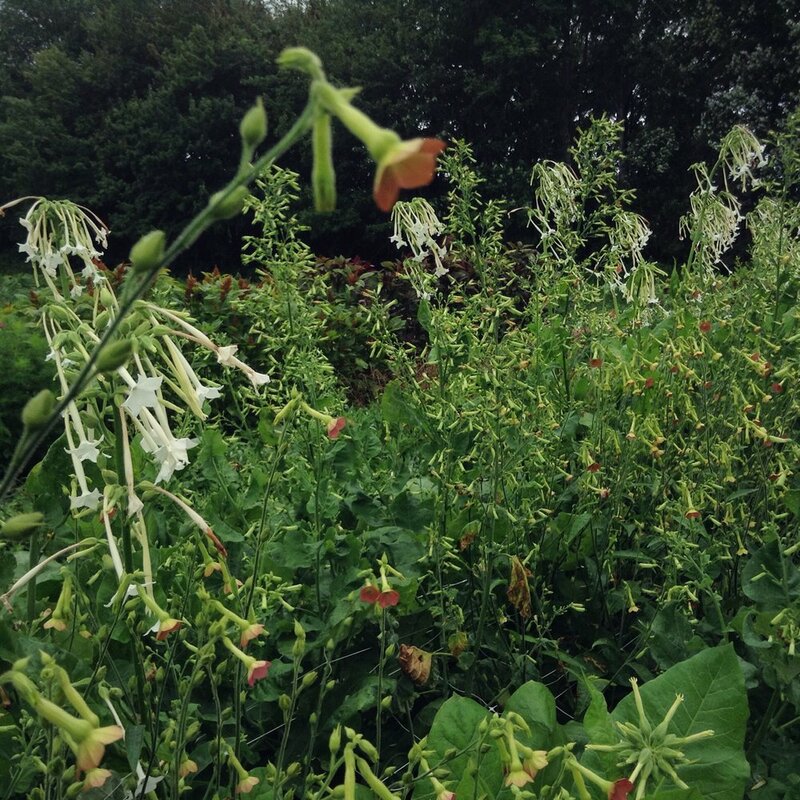 Our flowers are sustainably grown: stripes of cover crops gleam green between each riotous row of color, and birds and pollinators animate the rows. Nature loves a polyculture. The diversity of our rows minimizes the challenge of pests and diseases, and our flower field thrives. Our blooms are fresh, strong, and clean. Flowers are a physical marker of the brevity of time in ways other sources of beauty don’t share. The adage “This Too Shall Pass" mirrors the ache, the commingling of good and ill and its extremes, which flowers serve to commemorate in our lives. Growing, designing, and providing flowers for our mid-coast Maine community holds a singular place in our busy farm and restaurant work. 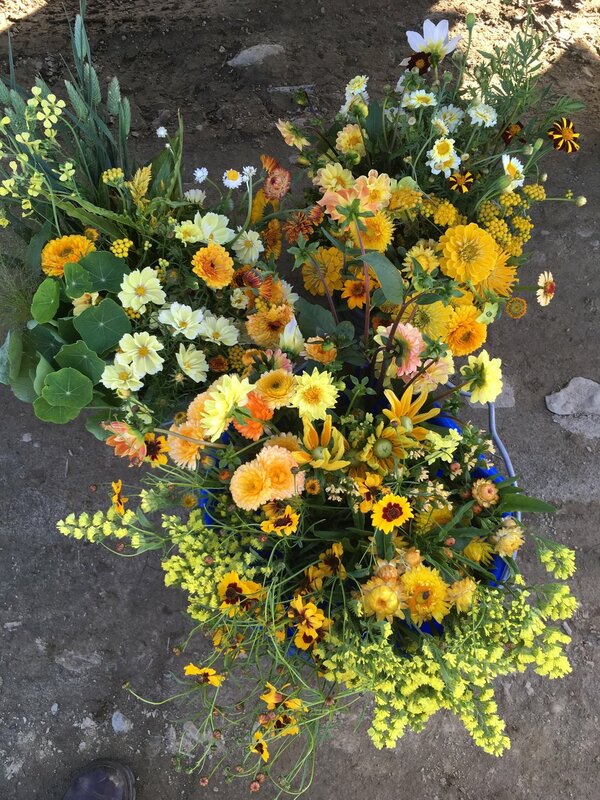 During the height of the harvest season—July through September—This Too has bulk flowers available each week for professional floral designers, and for do-it-yourself event designers. 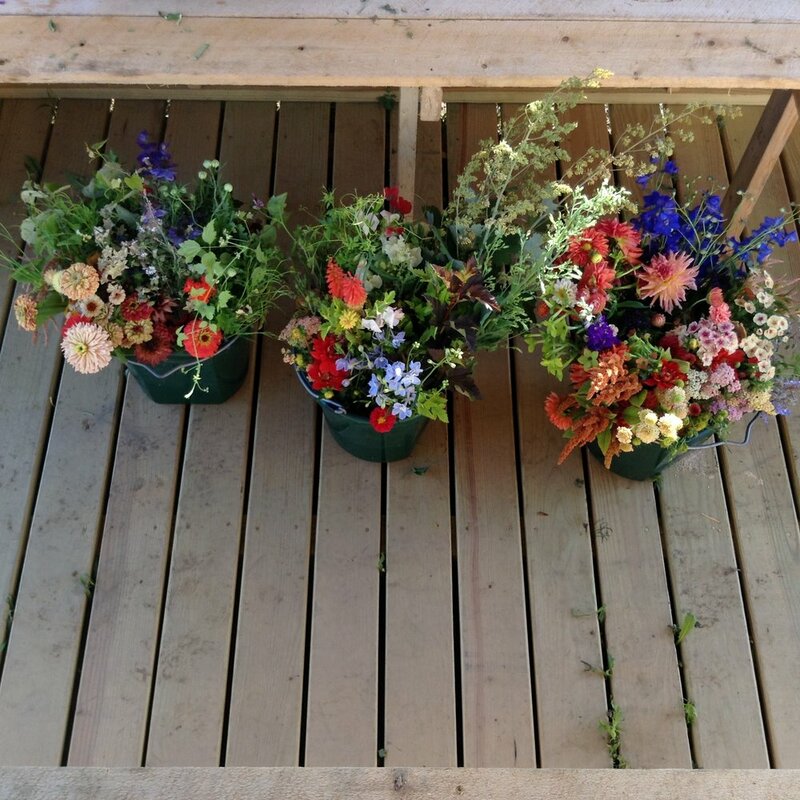 Sold by the bucket in the palette of your choice, flowers are freshly picked for your event and include a mix of focal flowers, airy fillers, and greenery. 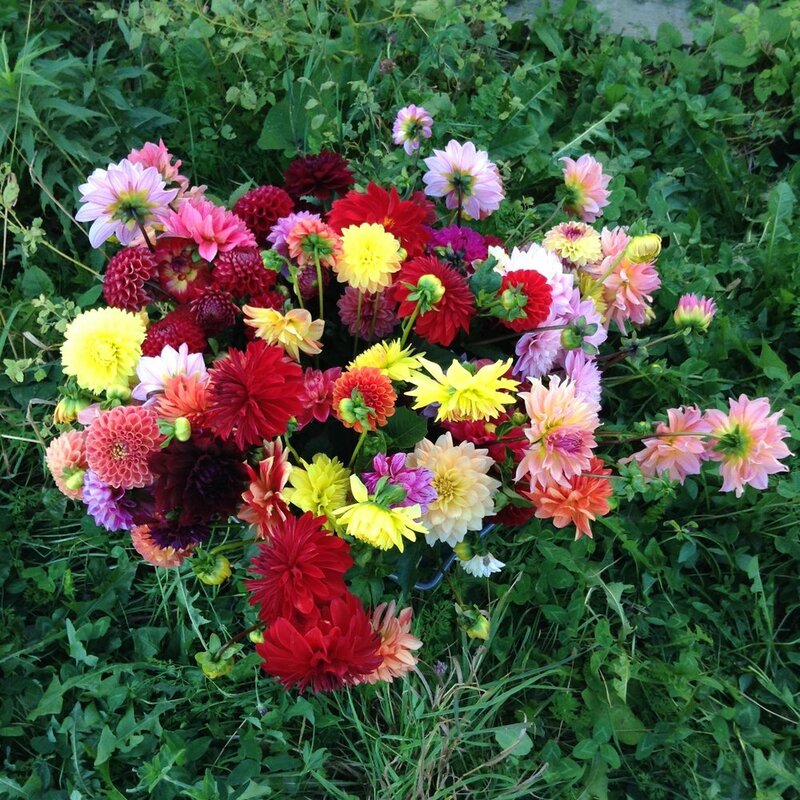 Bulk flowers are available for pick-up at Chase’s Daily on Thursdays. Bucket prices range from $80-$95. We love fulfilling these bulk orders! 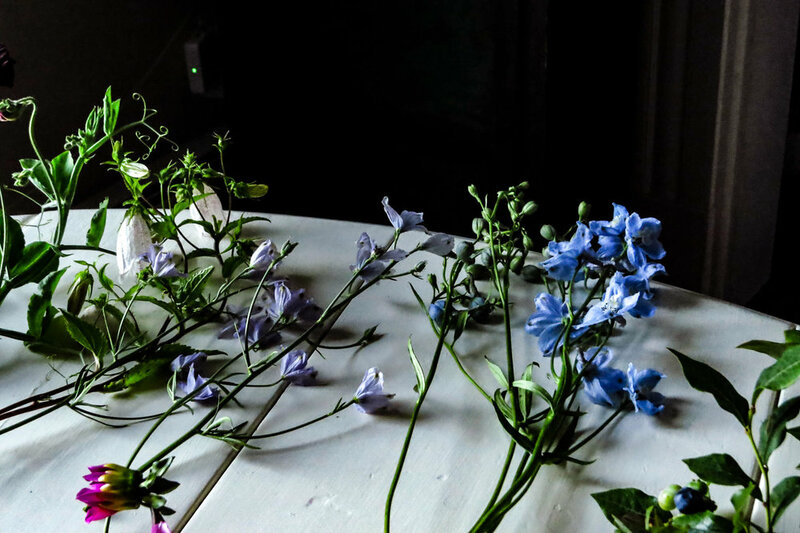 With increasing frequency, we are selling bulk flowers in a palette to compliment This Too designed wedding bouquets, boutonnieres, maids’ bouquets, and floral crowns . Please contact us to reserve your date. Meg and Penny welcome the opportunity to design for special occasions and look forward to expanding the breadth of design services offered each year. Our style is informed by the beauty of our fields and the challenge of capturing the essence of the season. Our designs feature our choicest stems. We are available for a limited number of events each season and are currently booking events for summer 2019. Weddings, elopements, parties, showers, and memorials . . . Please fill out and submit our inquiry and we will be in touch. Please indicate the type of your event. 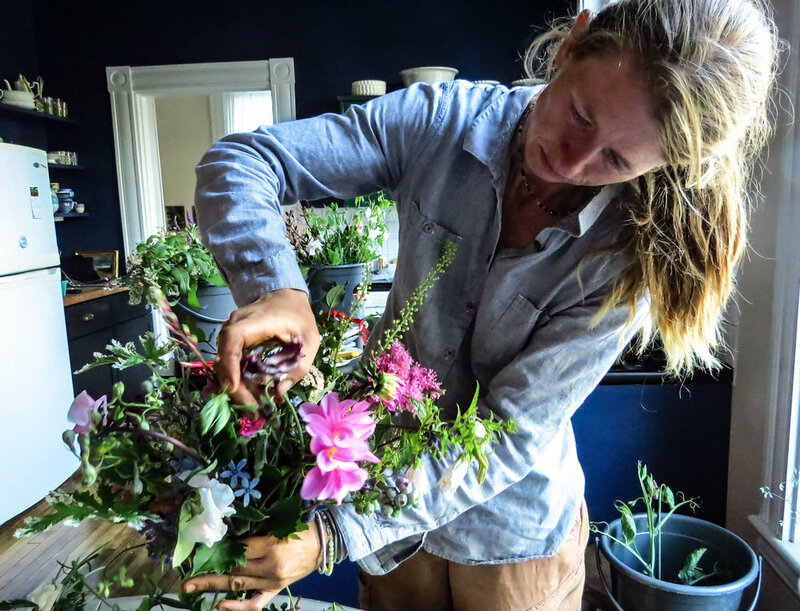 In addition to the harvest for Chase's Daily, Penny and Meg are offering a subscription service for the 2019 season—Friday’s Flowers. Each subscription consists of a bucket of flowers delivered on four consecutive Fridays to Chase’s Daily. Always different week to week, and though not arranged, the flowers and greenery will be chosen with harmony and style. An excellent choice for businesses, flower lovers, and those customers wanting the certainty of flowers set aside just for them each week. Pricing and details are listed in the shop. 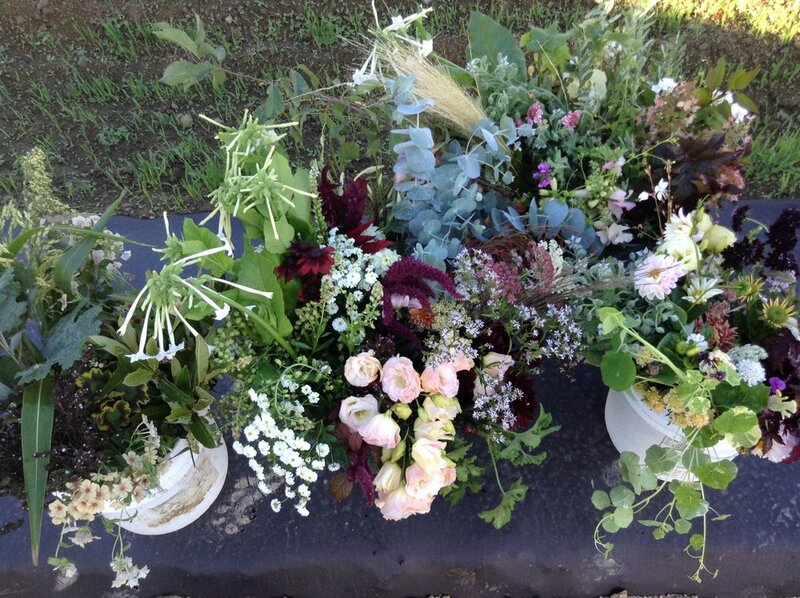 During the growing season we harvest flowers daily for marketing at Chase's Daily. As early as April and as late as Thanksgiving, we design and harvest for the public. 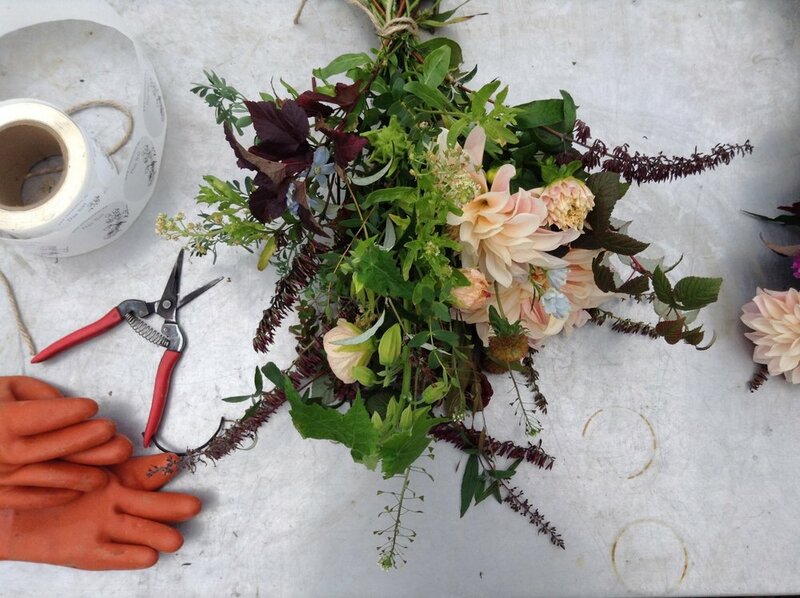 Designed bouquets and straight bunches arrive daily on the produce truck. Every day flowers may not be reserved or pre-ordered and are available on a first-come, first-served basis. As well as cut stems we sell choice annuals, perennials, woody shrubs, tubers, and bulbs throughout the growing season. Do you want a flower field tour? Would you like to talk about flower farming? Would you like to have a one on one design tutorial? Would you like to harvest flowers to take home? We realize there is a collective hunger to have experiences that yield memories and know-how rather than products, especially in realms that are aligned with the natural world and the pursuit of beauty. We can tailor a visit to your desire though visits are scheduled mainly in the later weekday afternoons during the months of July, August, and September. Cost is a minimum of $150 per hour.